Without doubt HTML5 is the future of the web and HTML5 in easy steps demonstrates all you can achieve NOW in the latest browsers – all described in easy to follow steps. 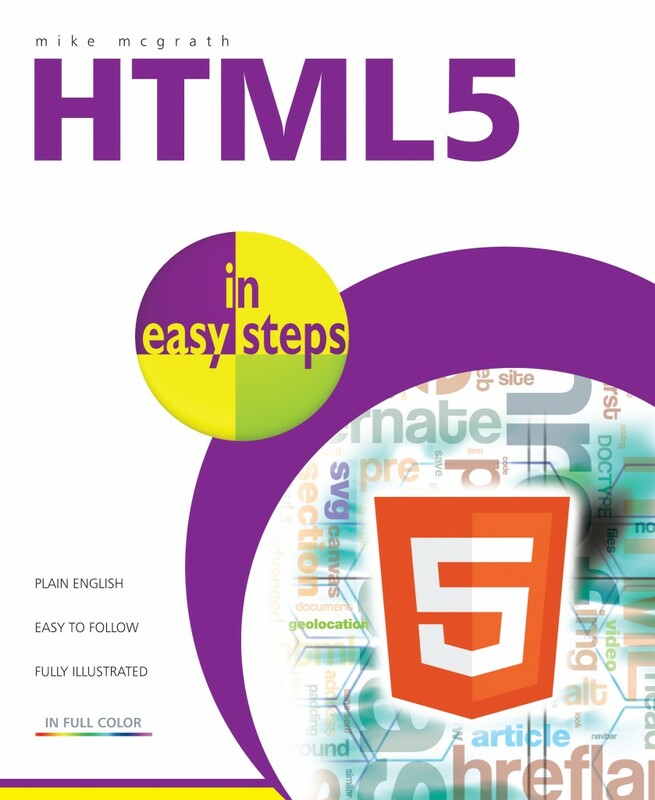 HTML5 in easy steps instructs you how to employ the latest developments for web page design with HyperText Markup Language (HTML5). Modern web browsers have united to support exciting new features of the HTML5 standard that allows easy creation of stunning web pages and engaging interactive applications. 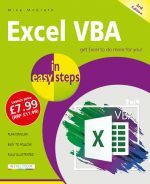 HTML5 in easy steps contains examples and screenshots that illustrate each feature of HTML5, describing how to incorporate meta information about a document within its 'head' section and how to add structured 'body' content. You'll learn how to create web pages to display text, images, lists, tables, hyperlinks, forms, audio, and video - and also how to write script instructions that draw and animate graphics on embedded 'canvas' areas. 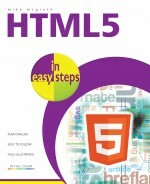 Each chapter builds your knowledge so by the end of the book you'll have gained a sound understanding of HTML5. 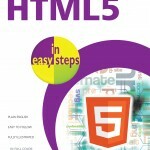 HTML5 in easy steps has an easy-to-follow style that will appeal to anyone looking to create compelling web pages for the latest browsers. Ideal for programmers who need to quickly learn the latest HTML5 techniques, students learning website design at school or college, those seeking a career in web development who need a thorough understanding of HTML5, and the enthusiast eager to build the latest HTML5 features into their websites.